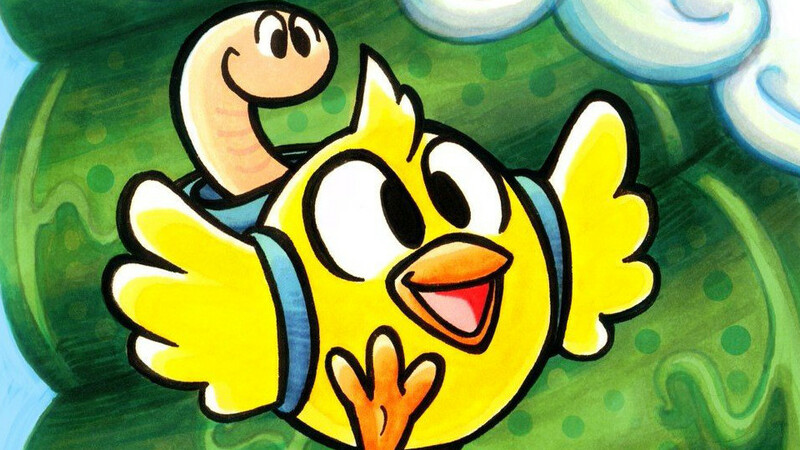 The debut game from Atooi, Chicken Wiggle, finally has a release date and price. The make-it-yourself platformer will release on the 3DS in North America and Europe on August 17th for $14.99/€14.99. In addition to an extensive single player adventure of a chicken and his worm, the game has a level creator and online sharing features. Aspiring game designers and playful doodlers alike can spend hours of fun hatching their own levels with the user-friendly level creator included with the game. You can even choose different gameplay rules, art themes, and provide custom hints, tips, and search tags. Once you’re ready, it’s easy to share your creations on-line with other Chicken Wiggle players via the community portal. Now, anyone can be a game designer on the go! Players seeking more levels to play after completing Chicken Wiggle’s main story mode will find a wealth of unique levels to download, play, and rate for free! Level categories include Official Atooi (made by Atooi level designers), Popular (most hearts), and Latest. You can also enter your own search tags or a specific level ID to locate a friend’s level. Announced back in August 2016, Chicken Wiggle is the first project born of Atooi, the studio founded by developer Jools Watsham. Jools is also the creator of fellow 3DS-born platformers like Mutant Mudds and Xeodrifter, both of which he holds the rights to after a split with Renegade Kid. While also hitting the App Store, price and availability for that version are unknown.